Through extensive marketing research, our team will “tailor-fit” a show schedule for your entertainment facility. We specialize in examining the surrounding community and targeting the long term fan or customer. With over 25 years experience producing amphitheater and special events, The Show Business team has the talent and skill to produce a fresh, exciting line up that will bring your facility to life! 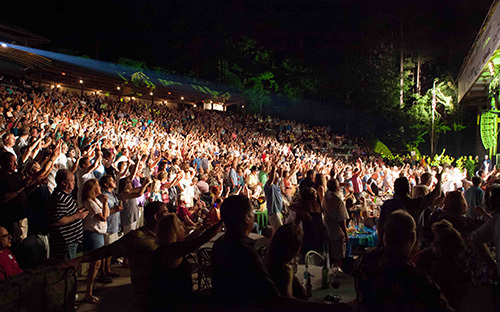 The Show Business has served the Live Entertainment and Special Event needs of Amphitheaters, Live Music Venues, Performing Arts Centers and Churches for over 25 years.